It is my pleasure to feature today a review written by a dear friend of mine and a fellow perfume lover and oud connossieur, Marian Williams. We have all fantasized about “the ideal perfume”. Who hasn't scoured department store counters, internet retailers, auction houses, elegant and exclusive fragrance boutiques and Grandma's basement hoping to find the scent that perfectly reflects who we are? My search ultimately led me to Agarscents Bazaar, an online retailer that specializes in Arabian musks, oils and perfumes. Sharif LaRache has created a line of Arabian Oils that are as mesmerizing as they are exotic, ranging in price from $25.00 - $900.00. “Al Manara” is a blend he created for me- the fragrance that brought me to the end of my search. What does it mean to embody all things- when the yin and yang fuse, when heaven and earth are inseparable, when liquid flight soars us to darkest depths? Who made this rose- gazelle? swift panther? Now, a child, I rock in your cradle and daze into light. Falling back. Back to primal forests, to the day when earth ruptured and life joyed out. I want to gulp you in- devour your lush plushness, my blood aboil with molten gold. You are my skin when I was new- translucent, then, and fragilely sheer. You are the breath of my first kiss, the gasp of my last ascending breath. You are my grown heart. Come- rub my head. Entwine your petals in my limpid curls, yank me from my torpor so I may better see the light. I know you- the me I will be upon awakening. Mr. LaRache is about to release a new line of fragrances, including some that are more tailored to the Western market. 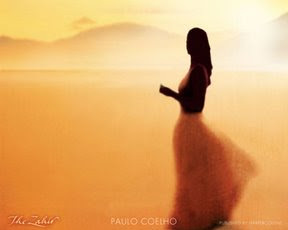 Image (cover of Coelho's Zahir) source, Harper Collins. Arabian musks? Where do I try these?!? Oh, wow. You had me at "Rose Ispahan." I must find these when they become available here. I just want to dive into that description and never come up - wonderful! William Shakespeare could not do better. What a passionate rendering of such a olfactory high. My interest in ouds is now beginning to awaken. I too seek the ideal scent -. Isn't what fragrance is -no more no less- but aromatherapy ? Oh, that scent he created for you sounds just stunning! Definitely must check these out. Thank you for this magnificent review! Isn't the desire to pursue perfume, art, music, LOVE, so related to a quality we can not put into words? For me, this review describes to indescribable! Pure passion and poetry. More please! Tmp00- if you go to Sharif’s website, agarscentsbazaar.com, and look under Dhen Al Oudh/Agarwood/Attars, you can see the Misk/Musk category. Right now there are 26 listed, including pure musks and blends, for you to drool over. My favorite blend so far is the Dhen Musk Maliki Supreme. It is a sweet sensuous mixture of different musks, rose and jasmine sambac, and it lasted an incredibly long time on my skin. Enjoy the hunt! Al Manara is available on the agarscentsbazaar.com website. It is listed under 3 different categories- Misk/Musk, Florals, and the Sharif LaRache Collection categories. You have to click on Dhen Al Oudh/Agarwood/Attars to find it. Visiting the website is really like going for a walk in an “Arabian Bazaar”. There’s so much to see that’s exotic and fascinating. When Sharif comes out with his new scents I’m going to be totally overwhelmed! Madelyn- thanks for your kind words. Speaking of aromatherapy, did you know that oudhs are supposed to have psychotropic qualities? They are used in eastern societies as aids to meditation. For me, that aspect is as important as their individual scents, which can vary from floral to animalic. They really can be transporting! If you like Archipelago, ghostranchguy, I wonder if you'd like Sharif's Oudh Royale Myanmar. It's on the floral gourmand side of oudhs- almost chocolately in its sweetness. I agree with Flora, it makes me want to abandon myself in this scent. As someone who knows little about the world of perfume but who does know the pleasures and sensations you describe so wonderfully, I was mesmerized by your review. Your words not only made me want to experience that scent (and others you might recommend), they made me want to stop and try to imaginatively recreate the moments you capture so articulately. Thank you so much, Marian, for opening my eyes to the possibilities that a truly beautiful and expertly crafted scent can evoke! I feel I can put my trust in your review! I loved Marian's descriptive and intriguing words about these scents! What wonderful pictures she painted. Her review made me want to try these scents. Perfume is aromatherapy and this review was poetry! Sounds irresistable! Will definitely check out the website. Al Manara, here I come! I was recently in Dubai and picked up some lovely aoud fragrances. I would like to sell them. Can you please advise on the best way to go about this. Oh I forgot to mention, the fragrance were all purchased at Al Qurashi! The thing about retailer and big perfume houses are they are expensive and sometimes charge more than it should. I am a distiller of agarwood oil from Indonesia. I distill best quality agarwood oil yet reasonable price. My oil smell very complex like a complete or finish perfume. It has woody, etheral and sweet smell. Sometimes people associate oud smell especially in the west as poopy or dominant woody or other unpleasant smell. It is totally untrue.